Our service range also comprises of Crane Services, Material Lifts And Contract Lifting and Cargo Services. We offer our steadfast building crane rental services, which are applicable for various purposes. Our ranges of products used in these services include mobile crane, crawler crane and telescopic crane. 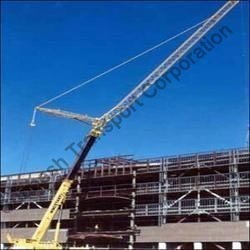 These cranes have their own reputation in the international market for higher performance and smooth functionality. With these superior quality products we are able to serve our valued clients in various applications in construction areas, refineries, fertilizers, cement plants and gas plants. And the capacity of the cranes ranges from 18 tones to 750 tones. Looking for Building Crane Rental ?